This job description was written for a 40-hour week position. If you do not work 40 hours a week, you may need to delegate items as necessary. Draw young people to responsible participation in the life, mission and work of the Catholic faith community. Be a model disciple of Jesus Christ. This includes: daily prayer, weekly Mass, frequent Confession, spiritual direction (if possible), and continued spiritual reading. A certain transparency of life is assumed when working in ministry. 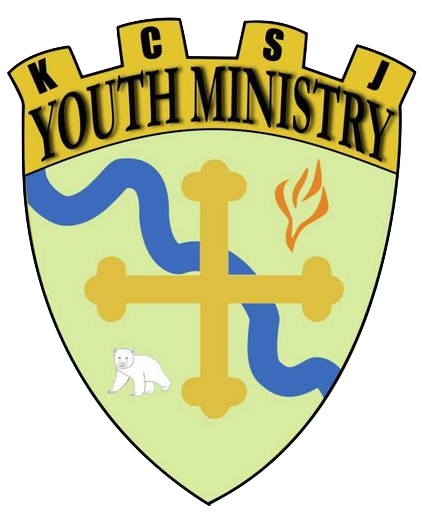 Under the direct supervision of the pastor, coordinate, implement, and evaluate a comprehensive youth ministry program for grades seven through twelve. This program is to include aspects of the components of catechesis/formation, advocacy for youth and their families, community life, evangelization, justice and service aspects, leadership development, pastoral care and prayer and worship opportunities. Recruit, train, motivate and evaluate all peer and adult volunteers; works in collaboration the with Diocese to provide leadership training for all volunteers moving them toward diocesan certification; supervise and evaluate all volunteers yearly; offer sexual misconduct training, maintain records on each. Supervise and train retreat teams to provide retreats for volunteers, teens and their families; facilitate and evaluate the retreats. Become familiar with diocesan safe environment requirements and is responsible for training of adults and children within youth ministry. Maintain a budget and functional youth ministry office; prepare, submit, and administer a proposed budget each year, maintain accurate financial records as required by parish policy. Maintain regular communication with teens and their families through bulletin, mailing and contact opportunities, participate in the parish registration process, and maintain accurate records on youth and their families. Work in collaboration with other parish staff and parish ministries in scheduling, visioning, planning and implementing activities, events and processes that overlap into other areas of other staff responsibility. These include, but are not limited to: Confirmation preparation, religious education, Scouting, and, if present, the parish school. Engage in ongoing professional formation; keep informed of trends in youth ministry, theology and methodology in ministry, participate in diocesan workshops and seminars, and courses in methodology and theology where needed, participate in local and regional organizations as related to education and formation in the field. Maintain a good working relationship with the wider civic community at large. Perform any other position related tasks as deemed necessary or assigned by the pastor. Bachelor’s degree in Religious Education or Theology OR National Credential in Youth Ministry OR background in theology and educational methodologies with a willingness to move toward credential or degree. Knowledge of all Diocesan guidelines and procedures. Proficiency in use of variety of office equipment. Minimum of three years experience in working with adolescents. Exhibit excellent organizational, written and verbal communication skills. Diocesan in-service for sexual misconduct class, Youth Ministry policies and procedures. Why do you feel called to youth ministry? What is your philosophy of youth ministry? Red flag: If the words “Jesus Christ” are absent from this reply. Do you accept all of the teachings of the Catholic Church? Are there any teachings with which you have difficulty? Why do you feel called to this parish/ministry? What do you know about our parish? This question is a test to see if the applicant has done his/her homework. Is this person just looking for a job or is he/she as committed to the parish as you are? What are your views on mission trips, retreats, lock-ins, (fill in the blank)? Describe your prayer life. What do you believe is the relationship between prayer and ministry? Where do you see youth ministry going in the future? What does a successful youth ministry look like? What would you do in your first three months at our parish? What is the relationship between the Eucharist and youth ministry? What is your salary requirement? Benefit expectations? What are your hobbies? How do you “recharge”? What experience do you have in training and leading adults? How will you include parents in your youth ministry? Describe yourself in a few words, especially your spiritual & sacramental & professional life. For example, what role does the Mass & Confession & spiritual reading & prayer play in your life? Tell us about your most recent job, what did you like about it? What is your vision for Youth Ministry and its place in the mission of the Catholic Church? What is your greatest accomplishment and your worst failure? What would you consider your greatest strength & your greatest weakness? What would you say are the most enjoyable and most difficult parts of working with youth? Please give an example of a youth social activity you would like to lead and how you would promote it to the youth of the parishes and implement it. Please give an example of an educational offering you would like to provide for the youth and how you would promote and implement it. In regard to the Catholic faith, what subject would you be most comfortable teaching? What subject would you be least comfortable teaching? Please give a service opportunity you would like to offer to the group and how you would promote and implement it. Have you ever helped with sacramental preparation? If yes, please describe. This is your first meeting with our Youth Group with you as their Youth Minister. Please introduce yourself to the youth and share with them your vision and plans for youth ministry. How involved do you feel the parents should be in regard to the program you would like to develop? How will you build community among the youth? What things will you do to get to know and work with the parish staff?